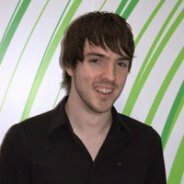 Daniel Maher, AKA MrPointyHead, is responsible for overseeing the publication of content across the Xbox LIVE homepage in Europe, i.e. Spotlight, Game, Video, Music Marketplace and, of course, Inside Xbox.. Most Xbox 360 owners will be used to seeing him alongside SuperKaylo on SentUAMessage on the Xbox dashboard with their amusing videos, so are delighted to grab him for an interview with This Is My Joystick. Q. Where did your love affair with gaming begin?